A cargo ship loaded with two enormous cranes from China carefully sailed beneath the spans of the Delaware Memorial Bridge at midnight on March 30. While the thought of two cranes and a bridge typically brings a construction-related scenario to mind, this combination recently illustrated a hold-your-breath moment in the Delaware River. A cargo ship loaded with two enormous cranes from China carefully sailed beneath the spans of the Delaware Memorial Bridge at midnight on March 30. 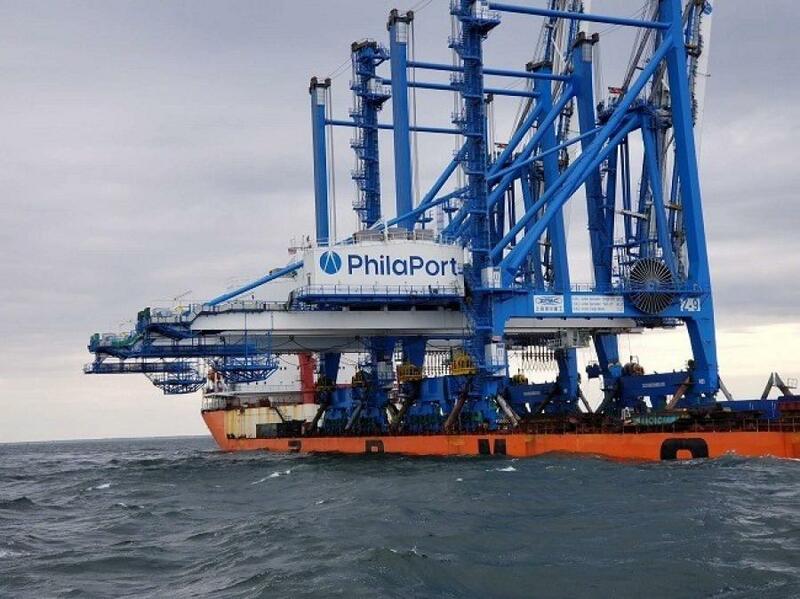 The ship was close to completing its 90-day voyage from the cranes' manufacturer in Shanghai to the Philadelphia port, NJ.com reported. According to Jim Salmon, spokesman for the Delaware River and Bay Authority, which operates the pair of four-lane bridges, the passage went just as planned. To be safe, officials stopped traffic on the bridges for about 15 minutes—both as a precautionary measure and to prevent drivers from being distracted by the activity below, NJ.com reported. According to officials, stopping traffic on both spans at once is rare, and the cranes are thought to be one of the biggest cargo loads to sail beneath the bridge. The ship passed under the spans at low tide to ensure extra clearance space. Initially, it was thought that the passage would be a tight fit, but in the end, there was a 5-ft., 8-in. space between the cranes and the bridges' supports, NJ.com reported. At mid-span, the bridges rise slightly less than 200 ft. above the Delaware River. The cranes then went on to pass beneath the Commodore Barry Bridge between Bridgeport, N.J. and Chester Pa. before moving to the Packer Avenue Marine Terminal to settle into their new home where they will be used to unload cargo from ships.